Discussion in 'Vintage Collectables' started by tone, Sep 24, 2018. Can anyone point me to the official info on this miniature PVC Panthro? I couldn't find a listing for it on this site, in the wiki, nor on any collectibles site. I've come across it several times but with either no info or unverifiable info (for example, I've seen it listed as a Kid Works miniature but when I look up the reference, I see a different figurine). At this point, I figure it's a bootleg out of China (see sticker on bottom), which if true is fine, I just want to know for sure. This Panthro miniature was made in France by a company called Butterfly. It was meant to be a cake topper, if I'm not mistaken. There were a total of 8 figures made (I think). 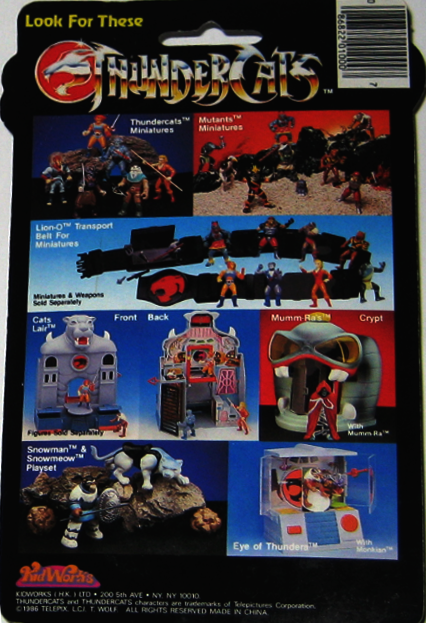 Lion-O, Panthro, Tygra, Cheetara, Mumm-Ra, Slithe, Jackalman, and Monkian. Thank you for the reply, that gave me a couple clues that led me down a new path. Here's what I found! So, these are figures that were indeed created by kid works in France. Mini-figurines, not cake toppers (cake toppers are usually made of different material and back then always came with a peg at the bottom to push into the icing and cake so it wouldn't fall over. Grandmom was a baker/chef and I stole enough cake toppers to play with that this was a constant source of annoyance). And here is a card back from one of the individual figure blister packs showing them with a transport belt (Good lord the licensing for this property was on steroids). Ah yes, I remember a bit more now. 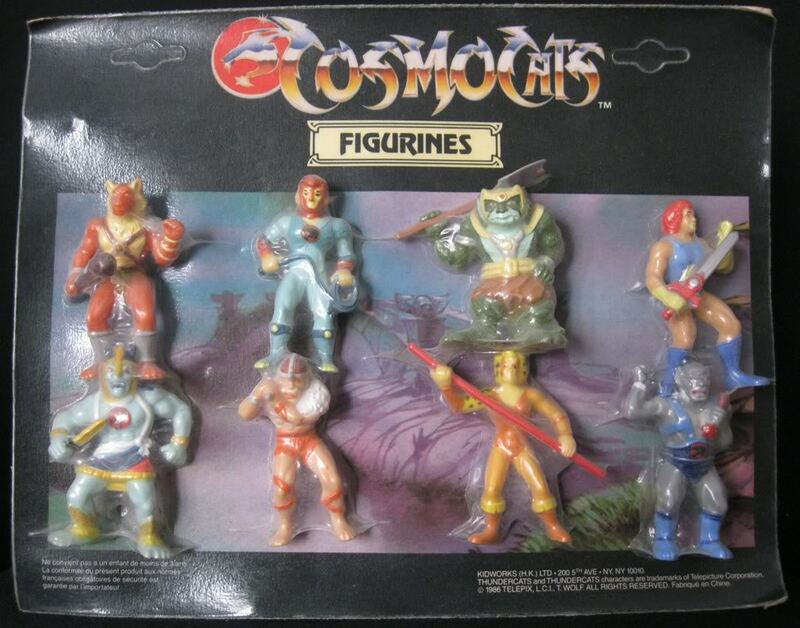 They were sold as Cosmocats miniatures. The reason I thought of them as being cake toppers was because the first time that I ever saw these figures was on the toyarchive website and on it they are listed as "Cake toppers". They are the fourth item from the top. lol the sculpt certainly would support that idea! I now wonder if anyone (maybe the person that made that entry) used them in that manner! I wouldn't have complained at all to get a cake with those figures on top!